Professor Michelle Trudgett is an Indigenous scholar from the Wiradjuri Nation in New South Wales. 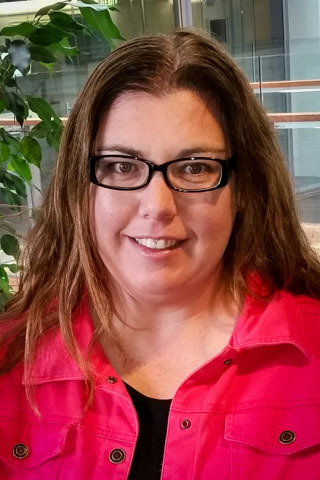 Michelle has held the position Director of the Centre for the Advancement of Indigenous Knowledges at the University of Technology Sydney since its inception at the beginning of 2015. Prior to this she was employed as the Head of Indigenous Studies at Macquarie University. Michelle received the prestigious National NAIDOC Scholar of the Year Award in 2018. She has held four grants funded by the Australian Research Council, three as the lead Chief Investigator. Michelle has developed an international reputation as a leading Indigenous Australian scholar whose research provides considerable insight into the area of Indigenous participation in higher education, with a specific focus on the postgraduate sector. Michelle is currently working on a significant ARC project (with colleague Prof Susan Page) which will reshape the way universities currently 'do business' with Indigenous Australians through focusing on Indigenous leadership in higher education. Cinema is an art form widely recognised as an agent to change the social condition and alter traditional norms. Movies can be used to educate and transform society's collective conscience. Indigenous Australian artists utilise the power of artistic expression as a tool to initiate change in the attitudes and perceptions of the broader Australian society. Australia's story has predominately been told from the coloniser's viewpoint. This narrative is being rewritten through Indigenous artists utilising the power of cinema to create compelling stories with Indigenous control. This medium has come into prominence for Indigenous Australians to express our culture, ontology and politics. Movies such as Samson and Delilah, Bran Nue Dae, The Sapphires and Rabbit-Proof Fence for example, have highlighted the injustices of past policies, adding new dimensions to the Australian narrative. These three films are just a few of the Indigenous Australian produced films being used in the Australian National Curriculum. Through this medium, Australian Indigenous voices are rewriting the Australian narrative from the Indigenous perspective, deconstructing the predominant stereotypical perceptions of Indigenous culture and reframing the Australian story. Films are essential educational tools to cross the cultural space that often separates Indigenous learners from their non-Indigenous counterparts. Copyright © The Author(s) 2018. In 1991, the Australian Government released the Royal Commission into Aboriginal Deaths in Custody Report. Of the 339 recommendations, Recommendation 62 identified that there was an alarming over-representation of Indigenous youth in contact with the criminal justice system. The report called for immediate action by governments to develop strategies that would urgently reduce retention rates of Indigenous youth within the prison system. Analysis of the literature indicates that almost three decades after the release of this report, the high numbers of Indigenous youth who are incarcerated, or who have come into contact with the juvenile justice system remains the same. Although there is a good deal of literature investigating the criminological characteristics of this phenomena; there is a substantial gap in the literature surrounding the educational exclusion of young Indigenous males from the formal education system. This paper focusses specifically on the literature surrounding student exclusion from state schools and how this may provide some insight into the subsequent over-representation of young Indigenous males within the Queensland juvenile justice system. © 2018, Springer Nature B.V. Globally, rapid technological advancement is creating widespread concern about workforces of the future, and universities are expected to produce highly skilled graduates to meet the unremitting demands of knowledge economies. In this context, graduate attributes are a means for developing employability skills and an avenue for institutions to demonstrate to employers and potential graduates that the requisite skills will be developed during a degree. To meet these needs, graduate attributes tend to emphasise a range of generic abilities such as team work, communicating effectively, or critical thinking. While these soft skills are common in suites of graduate attributes, more recently, a next generation of attributes is emerging. The curriculum has now become a site for critical global issues such as sustainability. Also, globalisation is driving universities to foster graduates' intercultural and international skills, reflecting a diversifying and internationalised workforce. In Australian universities, and those in other colonised nations such as Canada and New Zealand, there is a growing emphasis on ensuring that graduates engage with Indigenous content and develop the capacity to work effectively with and for Indigenous peoples to address inequities and promote social justice. Using a case example from an Australian university curriculum project, we describe a degree framework developed to guide the institution wide implementation of Indigenous graduate attributes. Although the case context is quite specific, the guiding principles have widespread relevance for embedding graduate attributes into university curricula. university remains some way off. This review outlines the efforts that have been made to reduce the gap in Indigenous staff and student outcomes.Looking at the Australian higher education sector in 20 years' time the authors ask what is the future for senior Indigenous appointments and the aspiration of including Indigenous knowledge in the curriculum? The review identifies one pathway to Indigenous workforce outcomes is through postgraduate programs. It describes efforts underway to embed Indigenous perspectives into the broader curriculum. The review concludes with some optimism that Indigenous Australian outcomes are gradually moving from the margins to the centre of universities missions albeit at a pace that will need to improve to achieve parity by 2040. Indigenous Australians represent 2.2% of the working age population, yet account for only 1.4% of all university enrolments. In relation to higher degree research students, Indigenous Australians account for 1.1% of enrolments, but only 0.8% of all higher degree research completions. This paper reports on findings that emerged from an Australian Research Council-funded study which aimed to establish a model of best practice for the supervision of Indigenous doctoral students. The project identified the dissertation examination as one of the critical factors underpinning the success of doctoral candidates. Whilst research into the examination process for doctoral students is limited, the research that specifically explores the examination of dissertations submitted by Indigenous students is entirely inadequate. Our research identified key epistemological concerns that impact approaches to the examination process, to demonstrate how the dominance of Western methods of research impact the examination process for Indigenous doctoral students. This paper explores the experiences of 50 successful Indigenous Australian doctors with a specific focus on their examiner preference and disciplinary requirements. It highlights the limitations that some Indigenous students and their supervisors experience in finding an appropriate examiner. The number of Indigenous Australians completing doctoral qualifications is disparately below their non-Indigenous contemporaries. Whilst there has been a steady increase in Indigenous completions in recent years, significant work remains to redress the imbalance. Supervision has been identified as a primary influencer of the likely success of Indigenous doctoral students, yet very little research has been undertaken in this area. This paper examines the experiences of 11 Indigenous Australians who hold a doctoral qualification. It also provides the experiences of five non-Indigenous supervisors who were an integral part of the supervision team of one of the successful doctoral graduates. A best-practice framework for supervision is offered as a guide for how supervisors, universities and national bodies can contribute to building the number of doctoral qualified Indigenous Australians. Aboriginal and Torres Strait Islander < sup > 1 < /sup > women comprise the fastest growing subgroup among the prisoner population and are severely over-represented in Australian prisons. Despite the striking over-representation, research into their health and other needs has, to date, been limited. This paper describes the consultation process undertaken in Western Australia for the Social and Cultural Resilience and Emotional Wellbeing of Aboriginal Mothers in Prison project (hereafter, the Aboriginal Mothers in Prison project). The project aims to better understand the health, treatment and other needs of Aboriginal mothers in prison in Western Australia and New South Wales, and was conducted over two phases, the consultation phase and the applied research phase. This paper focuses on the results of the first phase of the research. It outlines the history of the development of ethics in this field and reviews the formal documents available to guide researchers working with Aboriginal and Torres Strait Islander peoples, tenets of which were infused throughout the research process. The paper then discusses how key stakeholders were identified in the area and provides an overview of the central findings from the consultation phase. In addition, the paper illustrates how being true to the consultation process and actively incorporating the feedback of diverse (and sometimes competing) stakeholders ensures the project acknowledges, respects and actions (where possible) the needs and concerns of the various agencies and individuals with investment in the issue. waypoints along their routes of travel, but not for actual navigation. This paper presents the findings from semi-structured interviews with six Indigenous Australian early childhood workers who were asked about how Indigenous families might be better supported to engage with early childhood education and care services. The workers identified three key barriers to family participation: transport difficulties, family embarrassment or 'shame', and community division. Facilitation of family engagement was argued to require an acceptance of individual families as well as the embracing of culture and the wider Indigenous community. In addition, the interviewees stressed the importance of ongoing and appropriate training and support for Indigenous early childhood professionals. This paper contributes to the growing body of research to inform practice in early childhood settings that serve families with complex support needs, and highlights the importance of cultural knowledge and respect. Supervision is arguably one of the most important support mechanisms provided to higher degree research students. Research into the role of supervision is emerging, with many scholars arguing the importance of establishing a connection between the supervisor and the student. However, problems can emerge when this relationship is overlaid with cultural differences and the supervisor has little knowledge of the student's cultural positioning. This paper will draw on findings of a doctoral research inquiry to explore the supervision provided to Indigenous Australian postgraduate students. Recommendations for change will be offered in the course of the discussion. Trudgett, MR & others 2010, 'Supporting the Learning Needs of Indigenous Australians in Higher Education: How can they be best achieved?'. Trudgett, M 2009, 'Build It and They Will Come: Building the Capacity of Indigenous Units in Universities to Provide Better Support for Indigenous Australian Postgraduate Students. ', Australian Journal of Indigenous Education, vol. 38, pp. 9-18. Page, S, Trudgett, M & Harrison, N 2015, 'A sociocultural approach to supporting Indigenous Australian success' in Macfarlane, A, Macfarlane, S & Webber, M (eds), Sociocultural Realities: Exploring new horizons, Canterbury University Press, Christchurch, New Zealand, pp. 155-167. Whilst there has been some growth in the number of Indigenous Australians completing Higher Degree Research (HDR) over the past decade, the parity rate remains significantly behind that of other domestic Australian students. The bulk of research which investigates strategies to improve Indigenous Higher Education participation and completion tends to focus on undergraduate students, leaving a significant void of knowledge in how the sector can better cater for, and support, Indigenous postgraduate students. This chapter proposes a set of strategies to seed the success of Indigenous HDR students. It draws on the findings of three separate studies undertaken during 2006 to 2013 in order to provide a detailed overview of the current challenges Indigenous HDR students regularly face. It outlines various support mechanisms available to this cohort as well as those that are desired, but not necessarily available. An important component of the chapter is the inclusion of the voices of Indigenous Australians who were undertaking their postgraduate studies at the time they were interviewed, as well as a group of Indigenous Australians who had successfully completed their doctoral degrees. Through generously sharing their postgraduate experiences, participants provided important insight into this area which remains significantly under-investigated. Page, S & Trudgett, M 2015, 'UTS Indigenous Graduate Attribute Project: Examining institutional readiness for embedding Indigenous knowledges in the curriculum'. Fuller, RS, Norris, RP & Trudgett, M 2013, 'The astronomy of the Kamilaroi people and their neighbours'. Trudgett, M 2008, 'An investigation into the support provided to Indigenous postgraduate students in Australia'.